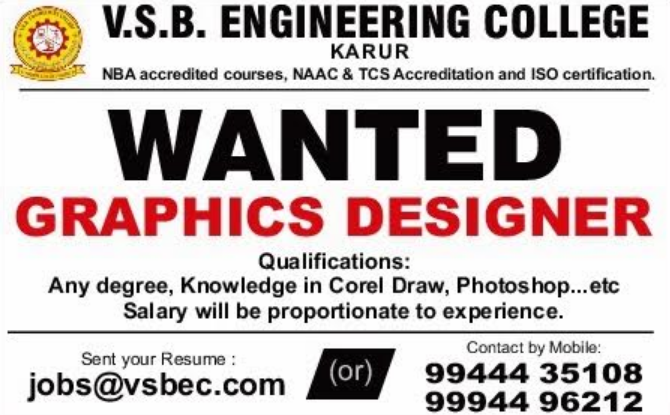 VSB Engineering College, Karur has advertised for recruitment of Graphic Designer / DTP Operator jobs vacancies. Interested and eligible job aspirants are requested to apply within 07 days from 09th February 2019. Check out further more details below.